Embroidery Lover! 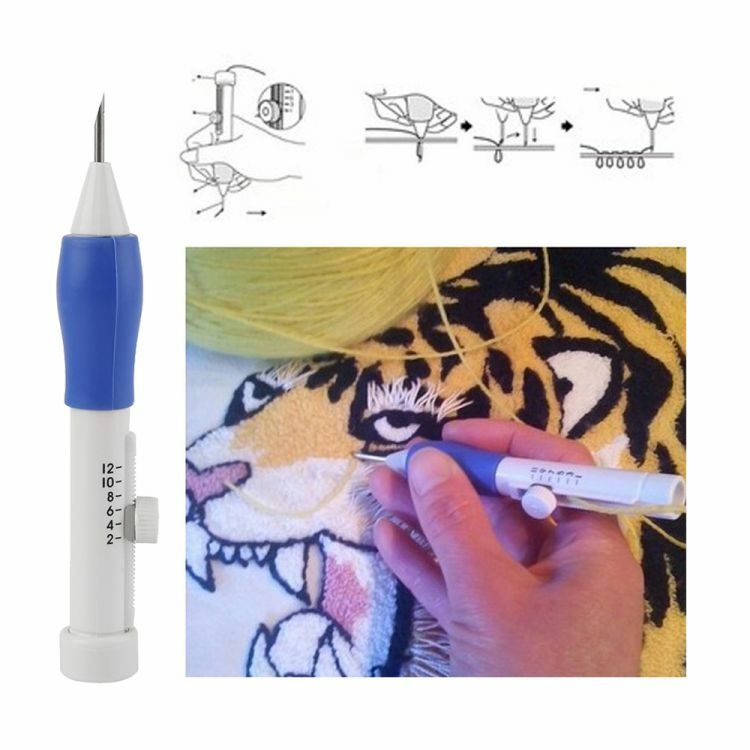 Have fun doing punching technique and making your own unique embroidery design with this Magic Embroidery Pen!! Many people love embroidery as it is such a pretty and delicate art that can transform any textile item with flowers, writing, patterns, patches and so much more! This Needle punch tool will help to make sure your work turns out perfect every time by doing the hard work for you- keeping your thread clear and tangle free while also helping you maintain an even flow. Use good quality floss, yarn, thread, ribbon or silk with the correct fabric thread count to get the best results. This tool kit makes crafting such fun while being portable, easy to learn and difficult to put down! Simply insert your chosen fabric into an embroidery hoop, secure it, pick a pattern from a book or magazine and you are ready to start. · Needle Punching is an easy, unique and Beautiful craft that can be applied to almost of clothing. · Create a three -dimensional embroidery design simply by Sew Mate Punch Needle.